A recent coaching client of mine came to me to talk about her career. Her core concern was how unhappy she was in her current workplace. For her it was like a prison. She declared that is was not because of the hours she worked, it was not because the workplace was heavily unionised, it was not because she had poor pay or bad working conditions. However she said no one laughed, tensions were always high, staff didn’t trust each other and many staff were miserable and abrupt. What I took from what my client was saying is 'relationships between people were poor'. So what turns an organisation into a prison or an excellent place to work? Research undertaken by the Australian Centre for Industrial Relations Research and Training (ACIRRT) describes excellent workplaces as those that are: “So extraordinary in their performance as to cause us to stop and remark on them. They are the leading work-places, the exemplars of productivity”. The quality of working relationships. Managers who focus on leadership and energy rather than management and administration. The ability to participate in decision-making. Being safe, physically and psychologically. A high standard of accommodation. Tolerance of autonomy and uniqueness. Sense of ownership and identity. Being able to learn on the job. Connection with the local community. Weighting the 15 drivers of excellence, the researchers concluded, on the basis of evidence from those interviewed and the workplaces themselves, that ‘Good working relationships’ was the paramount driver. All of which starts through you having conversations with people and through these conversations you develop relationships. 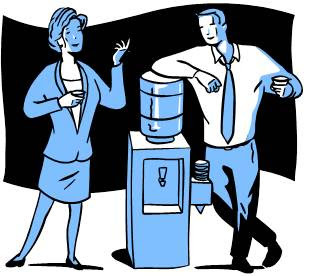 ‘Conversations and Relationships’ emphasizes that the quality of a working relationship is the overarching context which enables or stops workplace conversations occurring. Let us stop and reflect on this. When you have a good relationship with a person you work with, then works gets done. When you have a poor relationship with a person you work with, it can be much harder to get the work done. Quality conversations build quality relationships. In turn quality relationships encourage quality conversations, especially the difficult conversations that are easy to avoid, and which can be so beneficial. So an excellent workplace comes down to the relationships between people. The sad thing is how many leaders see nurturing good relationships as a top priority? If you seek an excellent workplace, can I suggest you start by building relationships.